The passing numbers might not indicate it but Cam Newton has to be in consideration for the NFL MVP early in the season. The Panthers haven’t played a difficult schedule so far but Newton has led them to a 5-0 start despite losing his best receiver, Kelvin Benjamin before the season. Cam Newton has had to do almost everything for a Panthers offense that doesn’t have elite play makers at receiver as tight end Greg Olsen is Newton’s best target. 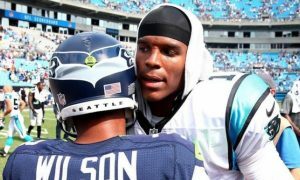 The win over Seattle on Sunday was significant for Cam and the Panthers because they overcame a nine point fourth quarter deficit in a hostile stadium against the team that has beaten them all four times during the previous three seasons. It was a big hurdle for Newton and the Panthers to overcome but the schedule gets more difficult in the next few weeks and Cam has to continue to play at a high level for the Panthers to continue winning. The fourth quarter of the game against Seattle showed how far Newton has come as a quarterback. 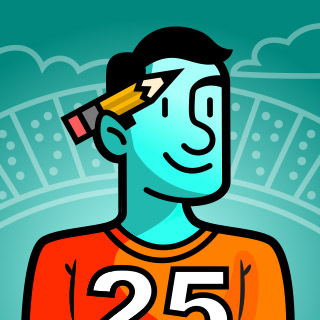 Newton had a reputation in the first few years of his career for not being able to finish games. This season Newton is playing his best late in games and has a 94.1 Total Quarterback Rating in the fourth quarter, which is second in the NFL. Newton saved his best for last against the Seahawks and led the Panthers on two 80 yard touchdown drives in the fourth quarter against the team that they have always struggled scoring against. What made those drives more impressive is that the back to back NFC champions were playing at home where they rarely lose and they needed to win the game to avoid a fourth loss. They didn’t and now the Seahawks are in danger of missing the playoffs and the Panthers are competing for a third straight NFC South title and a first round playoff bye. The win over Seattle was impressive but the 2015 season has not started off well for the Seahawks and they, like all of the Panthers’ previous opponents have a losing record so far. The Panthers will get tested in the weeks ahead with games against the Eagles, Colts, Packers, Giants and two against the Falcons. The MVP award is often judged by numbers but if Newton and the Panthers can continue to win games and beat out some of the better teams in the NFC, he will be hard to ignore, given his supporting cast offensively.